These arched stone windows have been preserved as part of a 13th century walled church in Kilmalloch, Ireland. Through the windows you can see the top of a round tower, possibly a former sentry tower or belfry, which is built into the surrounding wall. To see all the entries in today’s challenge, go to Leanne Cole’s blog. Thank you again, Leanne, for curating and hosting this interesting challenge! 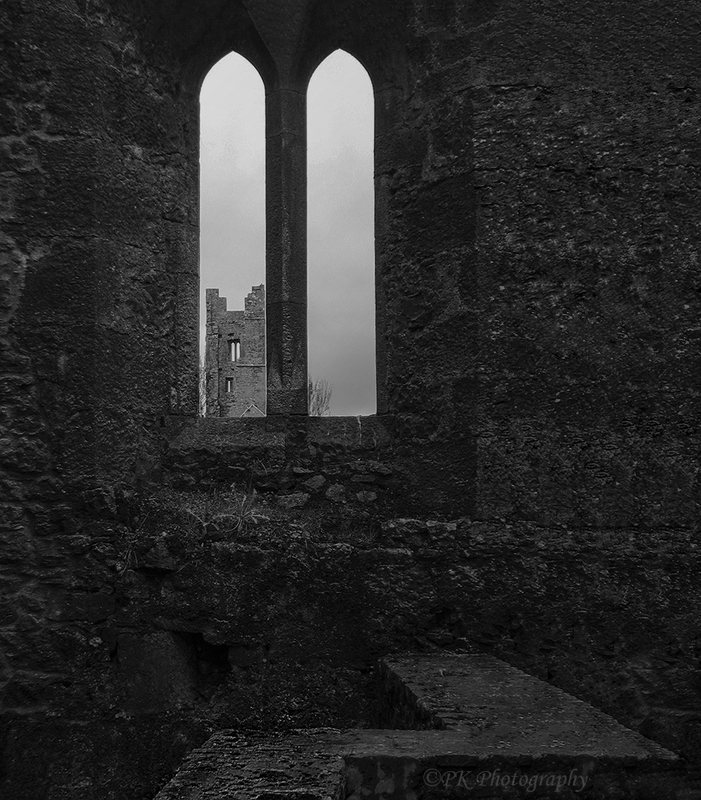 I shot this a few years ago while in Ireland. The bridge, located near Galway in western Ireland, was featured in the movie The Quiet Man starring John Wayne. Not only a quiet lake in the midst of the emerald hills for which Ireland is known, Lough Gur and its surrounding area comprise an important archaeological site. The surrounding area abounds with vestiges of human habitation going back 3,000 years. These include ring forts, a hill fort, grange stones, crannogs, and a tower house. If you turn away from the renowned Cliffs of Moher and look in opposite direction, you see an equally compelling shoreline.